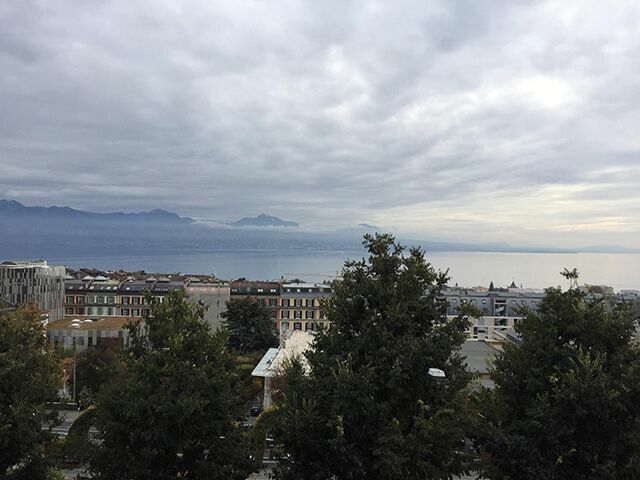 Lausanne is a beautiful and charming city but unfortunately due to high costs it won’t become a regular destination for the majority of people any time soon. While the beautiful scenery and impressive architecture will grab the attentions of many, the eye-watering prices will turn away most potential tourists. Still there is much to enjoy in the small French speaking Swiss city. Located on Lake Geneva near the French border, the view from the city is truly breathtaking. The Swiss Alps are clearly visible and provide a spectacular backdrop for the city’s inhabitants. The locals are polite and friendly and most can speak English well (as they live in a country that actually knows how to teach languages). Visitors intent on walking around the city could be in for a nasty surprise. Lausanne is full of hills so be prepared for a good workout if you’re used to the flat terrain that Dublin has to offer. Thankfully there is excellent public transport available, with an underground metro and plenty of buses which makes traversing the city a piece of cake. There are even some outdoor elevators to get inhabitants up the really steep slopes. However, those visiting the city in search of a vibrant nightlife will likely be disappointed. Last call in most of the bars in Lausanne is at 10pm and unlike in Ireland where last call often means that you can stay in the pub for another hour or so, the Swiss don’t tolerate such practices. Bar staff will clear the place out within five minutes and hand you a plastic cup to pour the rest of your pint in. Thankfully, drinking in the street is legal in Lausanne. For people who have found themselves in Lausanne and intend on staying out for the night, the Flon area in Lausanne is the place to go. The Flon, which was formerly a district made up of warehouses was rehabilitated and now boasts a wide array of restaurants, bars, clubs, boutiques and cinemas. Spots to check out in the Flon include ‘The Arches’, which is an outside bar located underneath a bridge and MAD, a former warehouse turned nightclub, which has hosted several famous DJs such as David Guetta. The Swiss are fond of their beer and the bars do have some interesting craft beers on offer, but local drinks such as ‘sour beers’ are probably better left alone. There are many worthwhile attractions for more easy going visitors. It is home to the International Olympic Committee and has been recognised as the Olympic Capital since 1994. The Olympic Museum is also located in Lausanne, which attracts more than 250,000 visitors a year. Inside the museum visitors can view more than 10,000 artifacts and learn about the history of the games, from the very first Olympic Games held in Ancient Greece, to first international Summer Olympics which was held in 1896, through to the most recent Winter and Summer Olympic Games in Pyeongchang and London. The Olympic Museum is far from the only museum to be found in Lausanne. The Palais de Rumine is home to several of these, containing the Cantonal Museum of Fine Arts, the Cantonal Museum of Archaeology and History, the Cantonal Museum of Money, the Cantonal Museum of Geology and the Cantonal Museum of Zoology, all of which are well worth a visit. Outside the Palais de Rumine, on Wednesdays and Saturdays, is a vibrant market selling everything from second hand clothes to Swiss comic books and old military artefacts. For art lovers interested in something a little unusual, the Collection de l’Art Brut is a must see. Located in the Chateau de Beaulieu in the centre of Lausanne, the museum displays the creations of self taught artists, many of whom were residents in mental institutions and prisoners. While some of the art pieces there are certainly for people with an acquired taste, the vast array of styles should mean there’s something for everyone. One of the high points of life in Lausanne is the food. If you’re a fan of cheese and chocolate you’re in luck. A stroll around the city and you’ll be greeted by a range of aromas, all likely to lure you into the many shops and restaurants. While there are a few American chains such as McDonald’s and Starbucks, there are a refreshing amount of locally owned restaurants and cafes. Local dishes include cheese fondue (essentially a big pot of melted cheese which you can dip bread into) and rosti (mainly consisting of potato and butter which is not unlike hash browns). However, even a short trip to Lausanne is going to set you back a good bit. Wages are very high in Switzerland and so is the cost of living. The average cost of a pint is around nine Swiss Francs (SFr), which converts to just under €8. This isn’t the worst of it either as an 80cl bottle of water in a fairly average restaurant by the name of L’esquisse, will cost you SFr9.50. Even the McDonald’s are expensive with a Big Mac meal costing in the region of SFr13, while a coffee in Starbucks will set you back SFr5.90. Globus, a Swiss department store that can only be described as Brown Thomas on steroids, sells beanie hats for SFr60 while a regular pair of jeans costs no less than SFr150. So for any students thinking about a visit to Switzerland, think again. If you’re surviving on a student budget you’ll probably only make it a day before you’re out of money and dreaming of a four pack of cans that will only cost you a fiver. If you’re pursuing a degree that will actually make you money, you may be able to afford a trip to Switzerland in the (probably distant) future. You’ll have to eat cheese and chocolate at home for now.